This directory lists blog that help students of Japanese as a foreign language who want to pass one of the five levels of the Japanese Language Proficiency Test JLPT. You usually find lists of kanji and vocabulary as well as material on grammar and expressions. 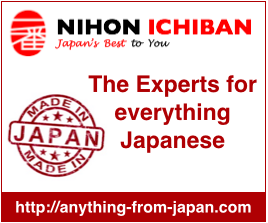 NIHONGO ICHIBAN – A very comprehensive blog for students of Japanese as a foreign language. It features kana, kanji, vocabulary and grammar by JLPT level and much more. Thank you so much for a wonderful directory of amazing blogs! If you add a “+1” option for Google+ and a “Like” option for facebook, this amazing idea could generate a bit more traffic I think. Also adding a customizable RSS feed would be very useful to those tech-savvy Japanese-learners. Thank you very much for this good idea. I immediately activated the shared button. Adding the RSS will be something for the week end. Thanks again for the suggestion.